At Family Roots, our research into names of European origin is second to none. 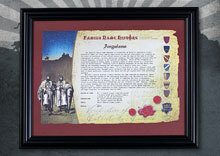 Get a printed and framed family name history. At Family Roots, our research into names of European origin is second to none. Printed unframed family name history. At Family Roots, our research into names of European origin is second to none. Printed and framed family name history.